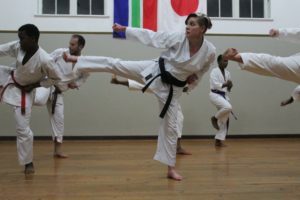 As the nation celebrates women and their place in South Africa, Grocotts Mail, East Cape Shotokan-Ryu and Joza Karate Club have teamed-up to offer free karate lessons for girls (seven years and older) and women. In this spirit, focus and appreciation must be given to the women that have been practising karate for some time. 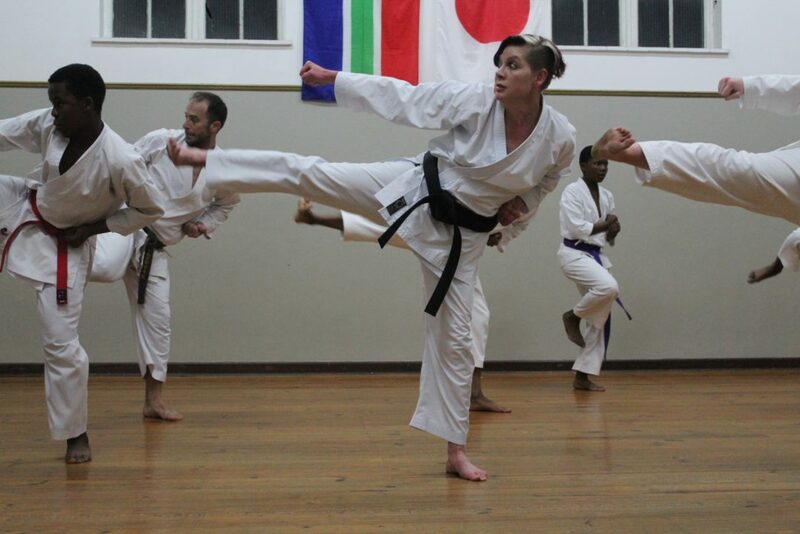 Maureen de Jager showing off her near-perfect kata while at training at the Hill St Masonic Hall dojo.  The cool thing about karate is that you can practice it in different ways, at different stages of your life,” said De Jager. De Jager believes that the discipline of karate is a practical and reliable form of self defence. “[Karate] empowers you in a sort of overt, physical way. It makes it possible for your body to react appropriately in a self-defence situation, but it also strengthens your resolve and it gives you confidence,” said De Jager. TO RSVP your place in the free classes, please contact Gary Grapentin at garyg@geenet.co.za. As venue space is limited, the offer will be on a first come, first served basis.